Dynamics AX 2012 is a midrange ERP top competitor and tier-one ERP system that can compete favorably with SAP and Oracle in select scenarios. Dynamics AX key capabilities include choice of deployment (on-demand or on-premise), feature set depth, productivity (seamless integration with other commonly used desktop programs) and its partner ecosystem. Dynamics customers frequently choose this product for its native Microsoft Office-like user experience, strong functionality, flexible tools and adaptability. Existing Dynamics AX customers considering an upgrade to AX 2012 will need to perform a pricing calculation using the new named-user pricing model. This may have a negative financial impact for small businesses, given their staff require access to more areas and functions, which in turn puts them in the more costly user types. Common Dynamics AX competitors include CDC Software, Epicor, IFS, Infor, Lawson, Oracle, Plex, SAP All-in-One and SAP Business Suite. 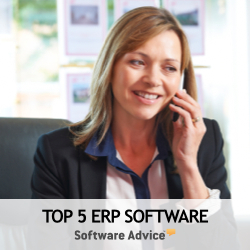 Cloud ERP competitors include FinancialForce, Intacct, NetSuite, Oracle Fusion and SAP Business ByDesign. Dynamics AX may be the Microsoft flagship ERP product and is advancing at an impressive pace. The AX 2012 release delivered over 1,000 new enhancements from its previous version and has taken a step toward competing with SAP and Oracle in the tier-one ERP market. Because of the solution's upmarket shift, Dynamics AX 2012 is no longer a good fit for smaller companies, as pricing and a sophisticated software scope may now be out of these companies' range. Dynamics AX 2012 is targeted to medium- and large-size enterprises. The application's specialties are geared toward manufacturing, public sector, services industries, and distribution-based organizations. While Microsoft has not heavily invested in vertical market solutions, this may be changing somewhat in the near future. The strength of the Microsoft partner ecosystem should not be under-estimated. Dynamics AX is supported by one of the largest and most mature partner networks in the ERP industry, with thousands of trained and certified partners and over 2,200 software add-ons. These partners provide system integration, professional services, technical support, localized expertise, and vertical specialization to their target industries.